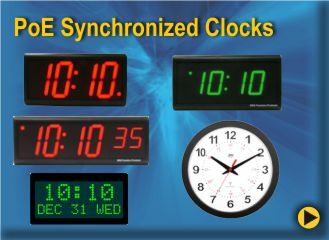 The ET100W series of timers displays the current accident or lost time status. 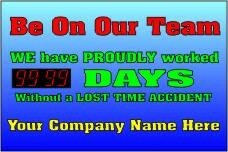 You specify the font, font color, background color, and graphics. 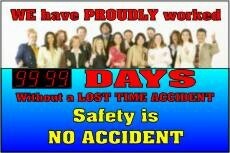 Let us know what your safety slogan is and it will be incorporated into the display. All standard picture formats are supported or choose from the BRG Precision selection. 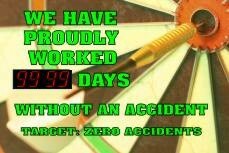 Operation is very simple. Control buttons located on the back of the unit allow scrolling up or down to a new start value. 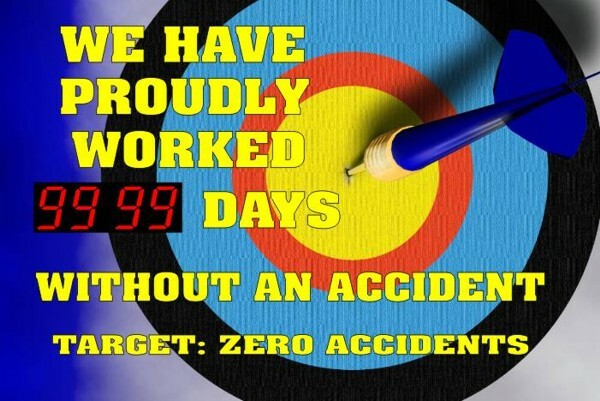 BRG proudly offers the following generic safety timers for you to purchase online. 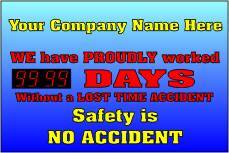 We also offer this safety timer with your custom graphics and message. 2.5" Red LEDs. 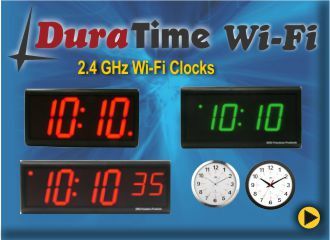 Count up Timer. Made in the USA. 2.5" Red LEDs. Count up Timer. 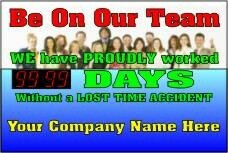 "Be on Our Team "
Order this safety timer with your company name added to the bottom of the graphic. 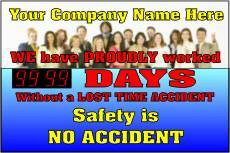 Order this safety timer with your company name added to the top.